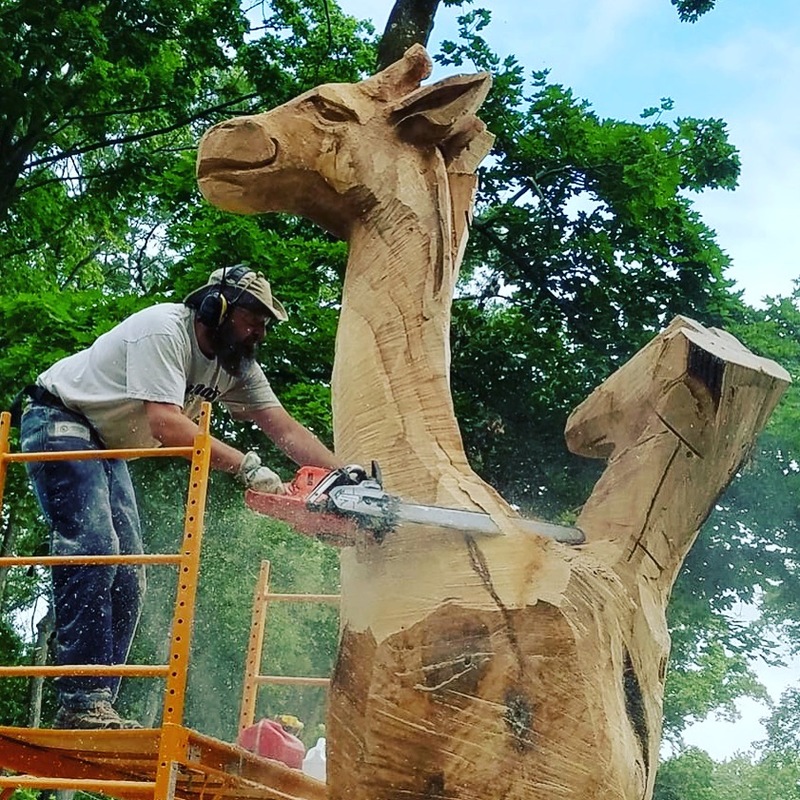 In June 2017 Wing created a pair of life-sized giraffes from an old norway maple at a home on Righter's Mill Road in Penn Valley, just outside of Philadelphia. 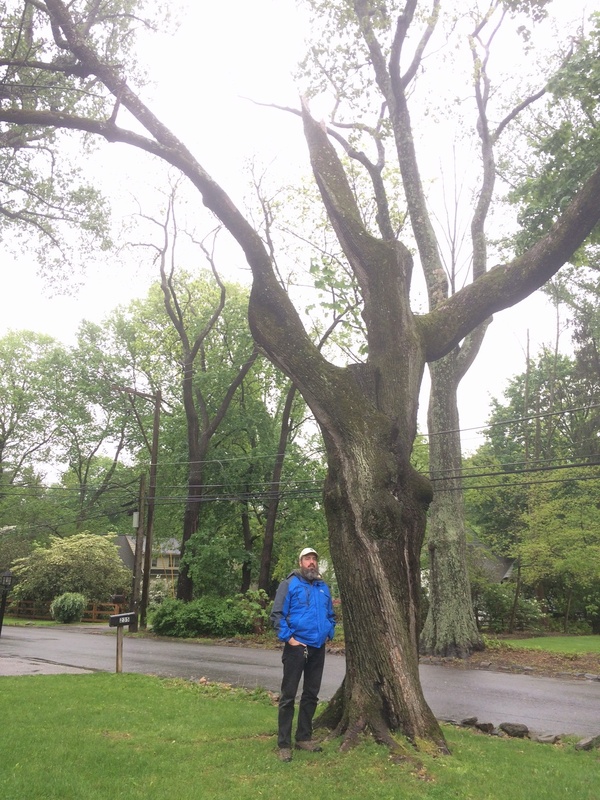 The tree was damaged extensively and completely hollow. 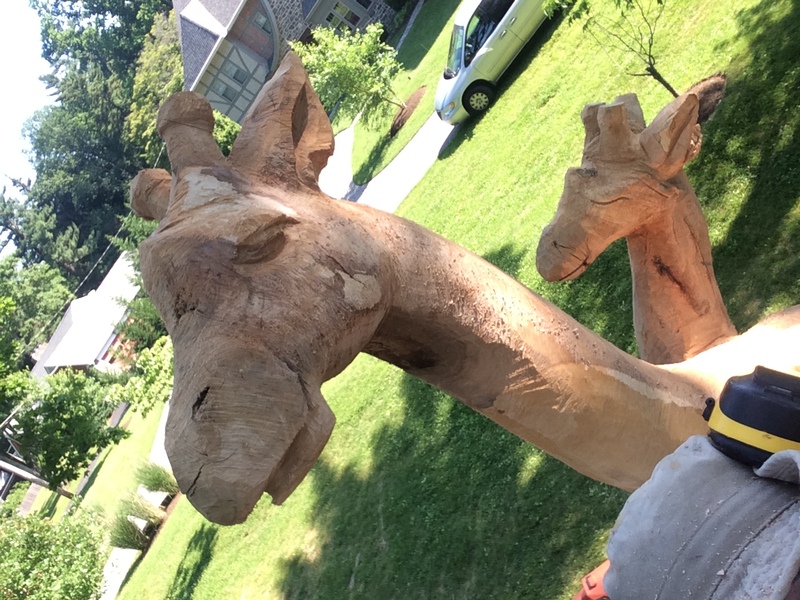 Nevertheless Wing found the forms of the two giraffes within. 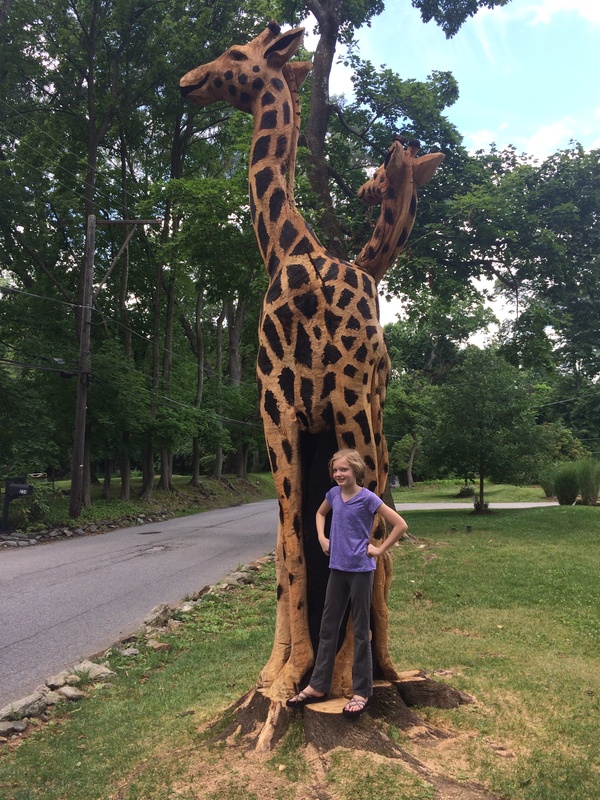 Members of the community, students at the neighboring Penn Valley Elementary School, and the family who commissioned the sculpture all love seeing the giraffes as they pass by. The big maple had already knocked out power to the neighborhood once when a limb dropped on lines during Hurricane Katrina. 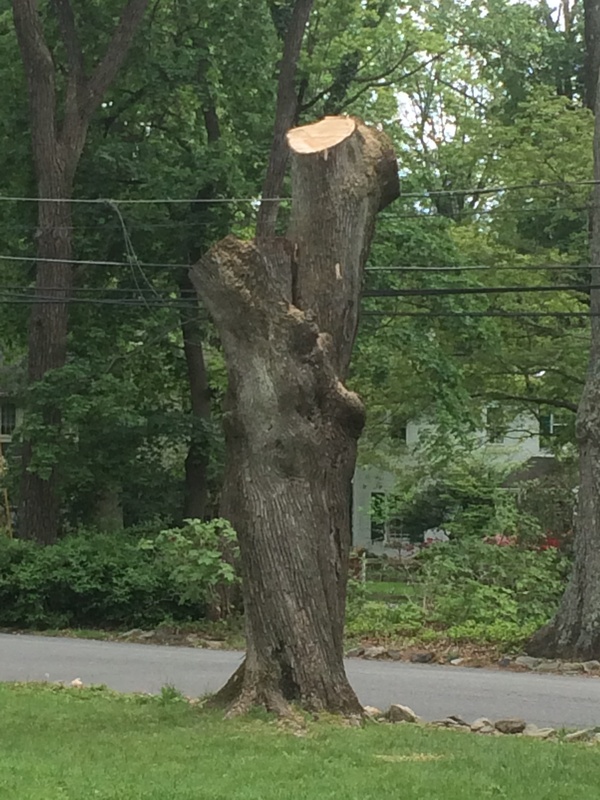 The old tree was poised to do it again but Arborist Ken Yanoviak and his crew expertly took down the remaining limbs. 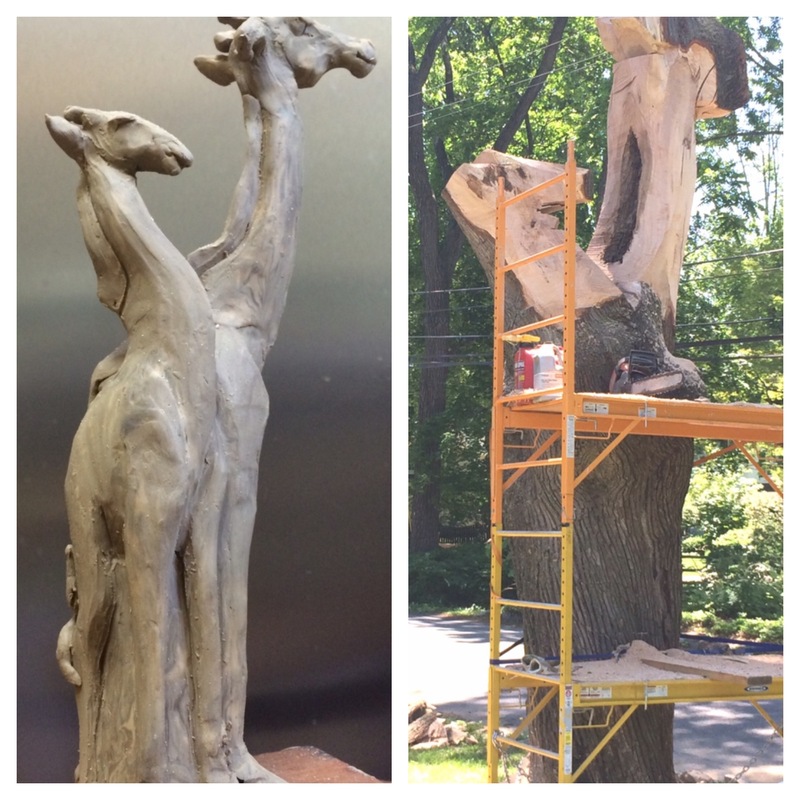 Wing then created a clay model of the tree trunk and sculpted it into two giraffes. The big saw was crucial for creating the initial forms. 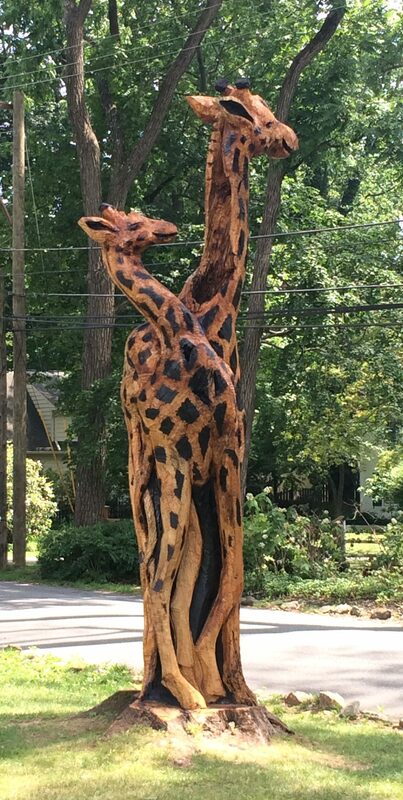 A torch was used to burn spots on the giraffes. 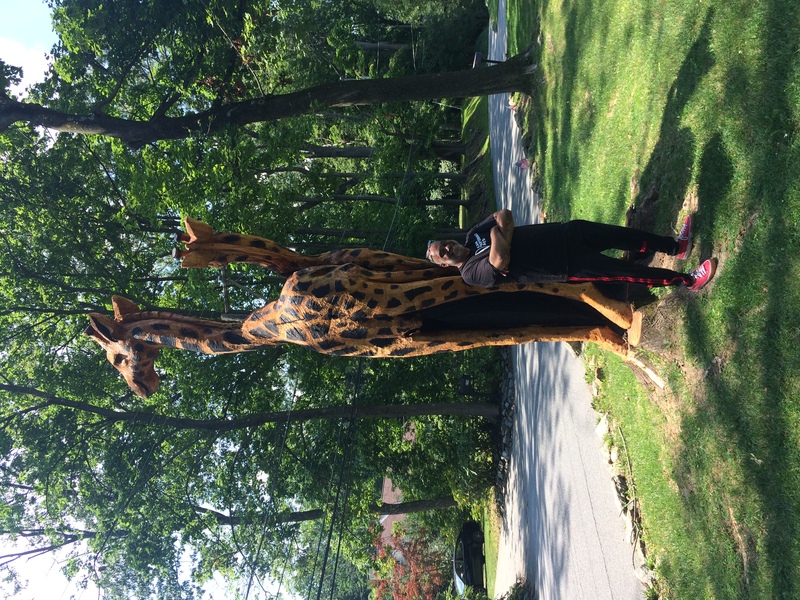 Danny Simmons was one of the first friends to visit the completed sculpture. 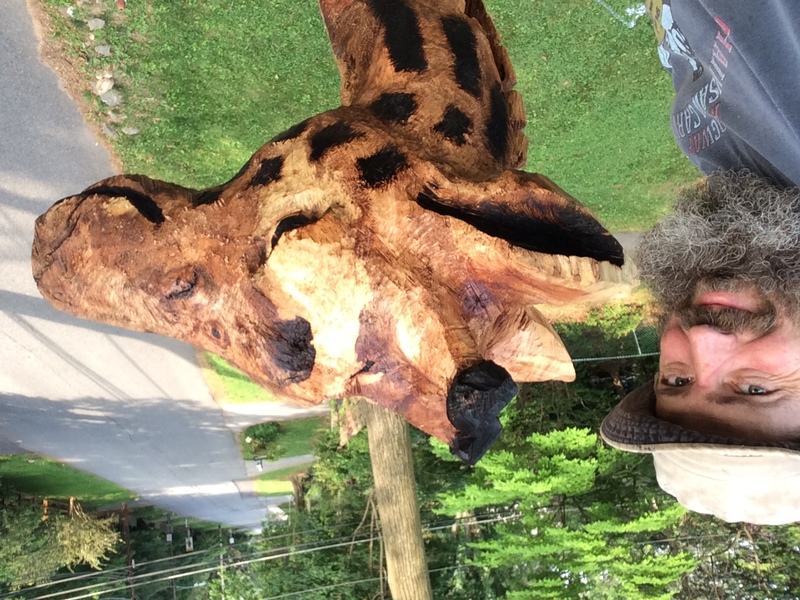 This entry was posted in Tree Carving and tagged Artist, chainsaw carving, commissions, Giraffe, Lower Merion, Penn Valley, Philadelphia, sculpture, tree carving, wood carving. Bookmark the permalink. All Images Copyright Roger Wing 2015 All Rights Reserved • Web Design: by SuperModernArt.